This is a brand that we didn't expect - 100% manufacture, for collectors who thought they had been around traditional watchmaking before H. Moser & Cie showed them the opposite. What is its difference? First, the management team. It is with Edouard Meylan that we have been working for several years - since the rebirth of the brand, in fact. It is a historical watchmaking family that we have been working with for decades, a lineage that no longer has anything to prove. The arrival at the helm of the second generation is therefore doubly positive: it benefits from the very long experience of the Meylans, while arriving with new ideas, a refreshing conception of traditional haute horlogerie. H. Moser & Cie had the right intuition from the start: to keep its fundamental watchmakers but to infuse them with an approach as modern as it is subtle. These fundamentals are a fully integrated manufacture, a strong identity for more than 150 years, a watchmaking culture rooted in a historic cradle of watchmaking, Schaffhausen. There is also the unique ability of a house to produce its own spiral springs. It's very rare. Our customers are sensitive to this. The new breath is this impertinence, Moser. An offbeat communication, willingly based on humour but which makes it possible, not a subtle contrast, to denounce a few taboos - for example, the limits of Swiss Made. It is an atypical speech but totally admissible from a brand that no longer has anything to prove. This new breath of fresh air is also a different vision of Fine Watchmaking. The perpetual calendar according to H. Moser & Co. is probably the most intelligent we have seen since the work of Ludwig Oechslin. All this without even mentioning the famous smoked dials, which have become the brand's aesthetic signature. 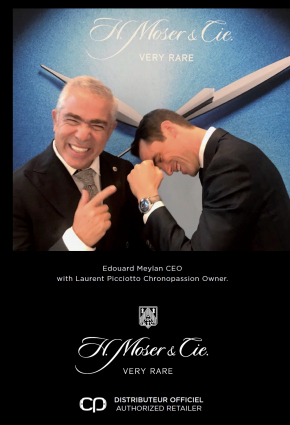 Even today, no one dares to do what Moser does: the traditional and impertinent haute horlogerie, whose distinctive signs are only perceptible to experienced collectors. A very elitist approach that we also claim. 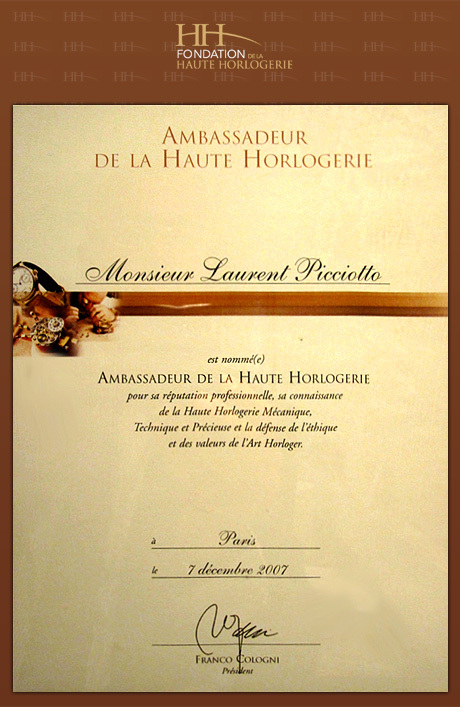 It is what led to this merger between Chronopassion and H. Moser & Cie - a merger that has also given rise to very limited series, even unique pieces, that we are and will always be the only ones to offer.